Copper Canyon Press, 9781556594786, 80pp. Quietly marked by elegy and memory, National Book Award winner Jean Valentine's thirteenth book is empowered by her signature clear music and compassion. Valentine leads us chronologically from childhood drawings and wartime memories to the present, where she addresses aging and the loss of loved ones. These poems of tender grace reflect on the small histories few ever fully see. I suppose you've got a place with lots of stairs. I'm at the end of something, you're at the beginning . . .
in the hospital morgue, next to your body, & cried. He yelled at the aide to get out. His two sons had been your students. Jean Valentine is the current State Poet of New York and author of twelve books of poetry, including Door in the Mountain, which won the National Book Award. She has taught at Sarah Lawrence College, New York University, and Columbia University, and lives in the Morningside Heights neighborhood of New York City. 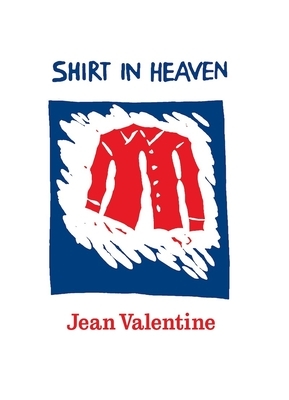 Jean Valentine: Jean Valentine is the current State Poet of New York. She is the author of twelve books of poetry, including Door in the Mountain: New and Collected Poems, which won the National Book Award for Poetry. She has earned many of the country's highest honors for her work, including the Wallace Stevens Award from the Academy of American Poets, a Guggenheim Fellowship, and The Poetry Society of America's Shelley Memorial Prize. She has taught at Sarah Lawrence College, New York University, and Columbia University. She lives in New York City.